With a waterproof upper and removable spikes, the Nike Roshe G Tour Men's Golf Shoe is designed to help you outlast the weather. A plush midsole and soft microfiber upper offer lasting comfort from tee box 1 to the final green. Waterproof upper helps keep your feet dry. Removable spikes deliver exceptional traction. Microfiber, synthetic leather upper offers a premium look and a soft feel. Extended saddle overlays hug your feet for a supportive fit and a stable feel. Internal heel counter helps keep your feet in place through your swing. "All day comfort. Tee to green." is printed on the sockliner. 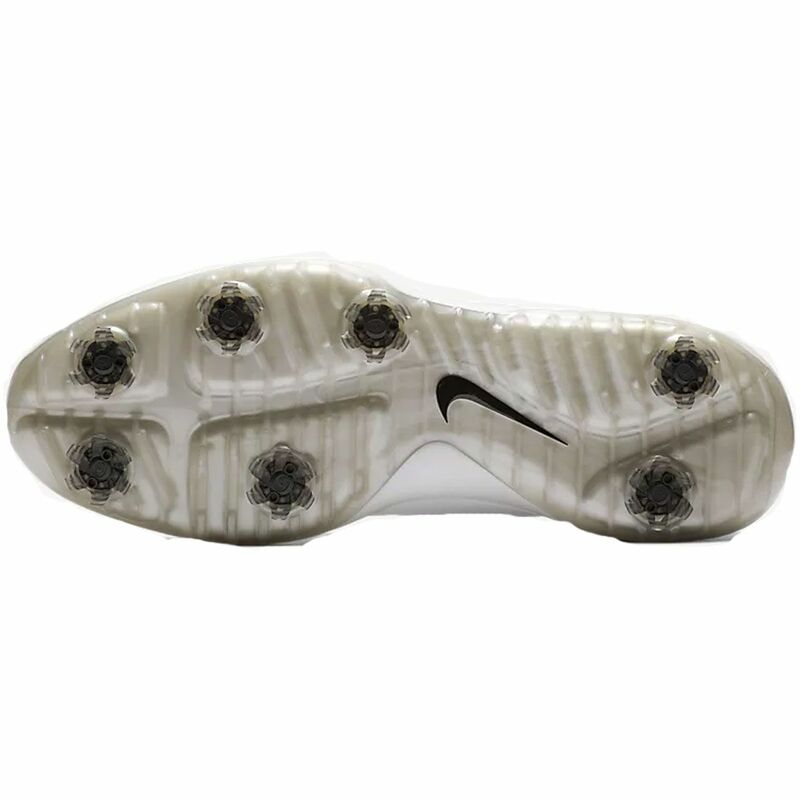 5 removable CHAMP® PiviX golf spikes twist and lock into a CHAMP® SLIM-Lok system for exceptional traction and enhanced ground feel on a variety of surfaces. This sizing guide pertains only to Nike Men's Golf Shoes. Measure both feet with socks on and use the longer measurement to find your size. Nike Vapor Golf Shoe AQ2302 360 DEGREES OF COMFORT. The full manufacturer's warranty from Nike is only valid when the Nike Roshe G Tour Golf Shoe AR5580 is purchased from an Internet Authorized Dealer. We will match any Internet Authorized Dealer's best price on the Nike Roshe G Tour Golf Shoe AR5580. 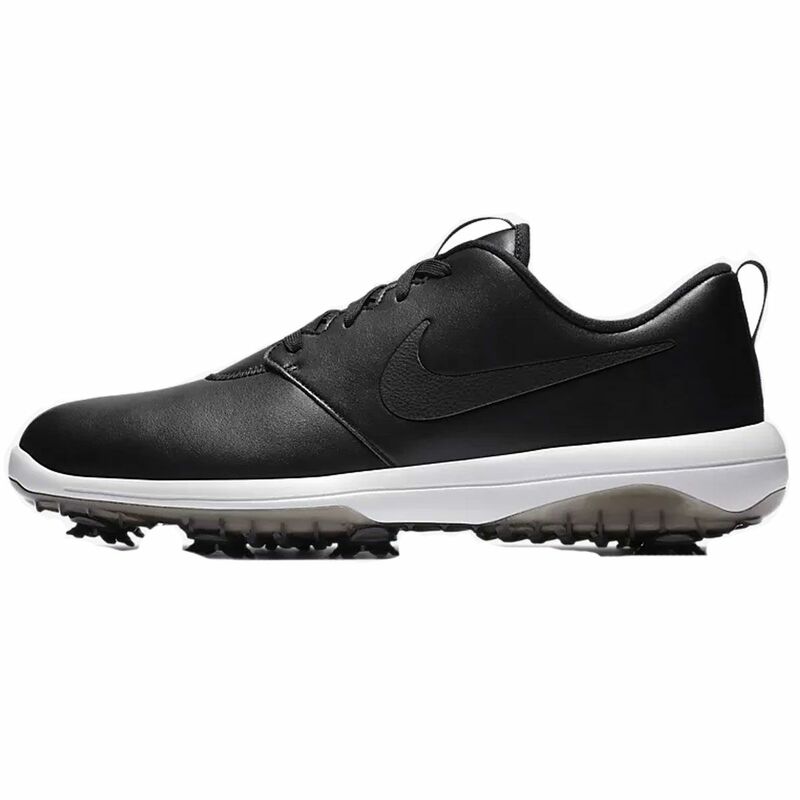 The Nike Roshe G Tour Golf Shoe AR5580 may be referred to by the following terms: 191887147473, AR5580-001 14.